News | Big Days Out in Leitrim | How would you like a Big Day Out? Well we’ve got it for you. Three activities all rolled in to one fun day. DESCRIPTION OF LOCATION AND WHAT WE HAVE IN STORE FOR YOU. Dromahair, Lough Gill/ Bonet River Nestled in the Eastern foothills of the Ballygawley Mountains near the shores of Yeats’ famous Lough Gill, we start our trip in Dromahair. We wander through the lush forests on a short forage and maybe even find some chanterelles if the time of year is right. The little lanes winding their way through a typical rural Leitrim landscape are just perfect for a leisurely ride on the fabulous electric bikes. You might even spot some of the wildlife as you whiz along almost effortlessly. Lough Gill and the wonderful Bonet River are the playgrounds for a short canoe trip with Adventure Gently. One is reminded of times gone by as every bend and every corner unravels a new view. Sometimes we stop at the ruins of an ancient tower house and paddle around the little island close by and count the water lilies. Glenfarne Forest/Lough McNean. Overlooking fabulous Lough MacNean across to Co. Fermanagh you’ll enjoy spectacular scenery in this unknown little piece of heaven. The forest walk in the former Tottenham estate is home to lots of wildlife and, during foraging season you’ll fill your basket but no checkout! Glide gently on the lake that covers three counties, you might even drift into Cavan you’ll be so relaxed while paddling the Canadian canoe. After a break for lunch, it’s into the saddle for a ride on electric bikes. To test the battery we’ll bring you up a nice hill or two! The local guides tell you all you want to know about the wildlife and some local folklore as well. Leitrim Village Lough Allen Canal. After a very enjoyable hour, foraging and discovering the beautiful woods and listening to the sounds of nature, you’ll transfer to the canoes just a hen’s race from the woodland. Located just between Leitrim and Roscommon at Batllebridge you get to choose river or canal. In fact, we’re so good to you that we won’t make you choose, we’ll let you paddle on both as they flow parallel for some time. When you’ve had a little rest and some food to keep the energy up, it’s onto the bikes for a fabulous cycle in the byways around Leitrim village. As we’re all about getting you out into nature while enjoying exercise, guides are very well informed about the areas that we visit. Guides are: Tina Pommer and Rob Wheeldon – Leitrim Landscapes Guided Walks, Adrienne Diamond and Graham Robertson – Adventure Gently Guided Canoe Tours. Eileen and Seamus Gibbons -Electric Bike Trails. If that doesn’t chill you out enough we have included two days cruise boat hire in this unbelievably good value offer and all while staying at the picturesque Leitrim Quay cottages. Yes, you do have to pinch yourself to believe it! Leitrim quay offers charming self catering houses in a wonderful location. Houses are grouped around our private marina and within 2 min walking distance of pubs and restaurants. Situated 7 km from both Carrick on Shannon and Drumshanbo you will find all amenities you’ll need. Our 7 meter cruiser is at your disposal for two days of your stay. Take this eggscellent opportunity to break away to Lovely Leitrim for Easter and spend time in nature. This two day festival has stunning walks on Benbulben and Truskmore mountains and a ramble in Glencar on Easter Sunday. Registration for the walks is at Glencar TeaShed beside the waterfall. With good Leitirm hospitality, there’ll be tea & scones at the start and home made soup at the finish. Sat night walkers and friends can come together for dinner at the Glens Centre and hear a talk by Manchan Magan, travel writer and documentary video maker. The route goes from Ballinabehy to Two Sisters giant rocks, Lackagh Mountain. The walk will start in the townland of Moneenlom, Glenfarne and will follow the Leitrim Way South for 6 km to the townland of Dergvone. 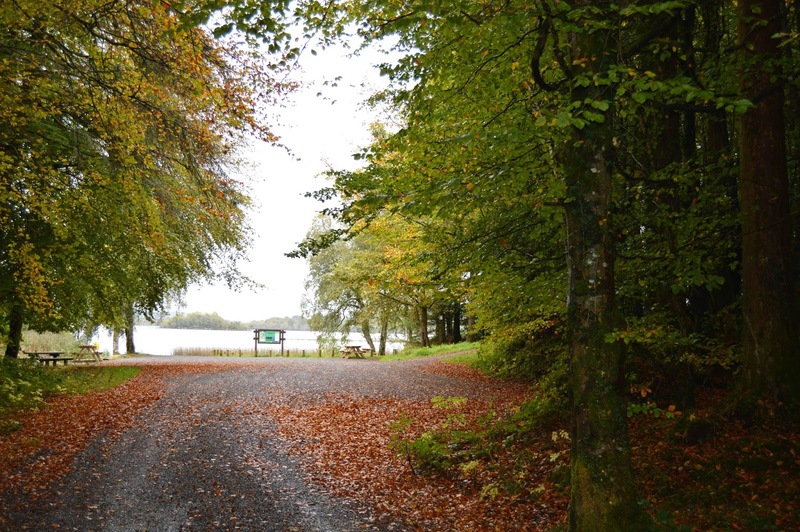 Walkers will then leave the Leitrim Way and walk 3km due East to Lough Carran. You will then turn right and walk West for .75km to Lackagh Lough and the Two Sisters. The Two sisters are two giant rocks overlooking Lackagh Lough, each rock is about the side of a semi detached house. (This is difficult terrain and walkers will have the choice to avoid it and walk back to the start of the walk along the Leitrim Way). After reaching the Two Sisters, the walk will then go due East for 3.5km back to the Leitrim Way and walk six km North to the start. Total Distance is: 16km approx. The Walk along the Leitrim Way is easy but the trek to Lackagh Lough is challenging over rough ground. Highest point is 440 meters. The ascent is gradual. Duration will be 5 to 6 hours approx, depending on the group, shorter if walkers stay on the Leitrim Way. This walk is suitable for the fit and is under the watchful eye of the Holey Soles Hill walking club. This walk on gravel paths is easy paced. Participants will see some of the pieces on the MacNean Sculpture trail and will visit the site of Glenfarne Hall of the former Tottenham Estate. Please wear strong walking shoes/boots and waterproofs. The walks are in aid of Warmi Huasi women’s & children’s project in Lima. This is operated by a friend, Fr. Ed O’Connell. Donations welcome on the day. Trip To Thur Mountain Glenfarne Co. Leitrim to see the Autumn Equinox sunrise interact with ancient Megaliths. Leaving from the Rainbow Glenfarne at 6.15am Sharp going via Loughross bog to middle Thur. Time taken to walk up from parking position at Loughross is approximately 15 to 20 minutes. Actual Sunrise is around 7.15AM . Warm clothes, Torches, Wellies/hiking boots, Camera. (Warm drink/snack optional). Equinox monument first photographed in September 2014. Here the sun shines in through two large rocks and casts a “pencil” of light on a flag stone positioned behind. In addition another stone has been shaped so that a “V” of light is visible at sunrise. There are some other alignments that have never been photographed so hopefully the weather will be kind this year. There are many other monuments and prehistoric megaliths on Middle Thur and you will get a brief tour of some of these. There is no cost and everyone will be hiking at their own risk. Step back in time with the Glenfarne Gala, coming soon from July 24th to Monday 1st August. Now in its 47th year its fast becoming a must for your Summer calendar. Immerse yourself in Ireland’s musical heritage with the launch of the original Ballroom of Romances’ Museum of Showband Memorabilia on July 24th followed by music on the night by John McIntyre, A romantic interlude with bring you back to the time of the ballrooms famous founder John McGivern, a scene brought to the big screen by William Trevor’s famous book. It is truly set to be an evening of nostalgia in this wonderful iconic setting. From children’s fancy dress disco on Thursday 28h and treasure hunt on Saturday the 30th, along with the Sport and Cultural day on Sunday 31st the Glenfarne Gala has a program designed for all ages. There’s also a chance to hop on the new Glenfarne/Kiltyclogher heritage tour. The hugely popular Derek Ryan will be playing during the festival on Friday 29th. On Sunday 31st the family friendly Sports and Cultural day which has become one of the highlight of the Glenfarne festival will take place. With turf footing and rope making on the itinerary it will bring Irish heritage alive. Find out more below.